Want to Sell a Movie Poster? 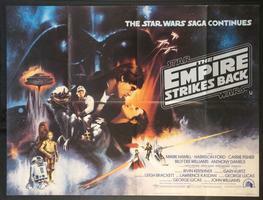 This web site contains only authentic, original, genuine movie memorabilia. We stock over 10,000 original vintage hollywood movie posters and lobby cards from the 1920s to the present. These are real theater-used advertising materials printed in very limited quantities and displayed when the film was released. We do not sell reproductions of any kind. Our inventory is organized into over 50 searchable categories, with a strong emphasis on vintage Comedy, Film Noir, Alfred Hitchcock, Horror, James Bond, Rock 'N' Roll, Science Fiction, Star Wars and Western movie posters. FilmPosters.com was founded in 1993 and has been on-line since 1997. Every item we sell is an authentic original, and everything listed on our site is in stock and available for immediate sale. Satisfaction guaranteed.